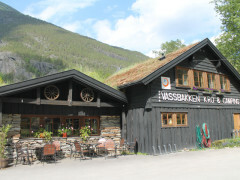 Skjolden hostel is 3km from Skjolden and the Sognefjord. 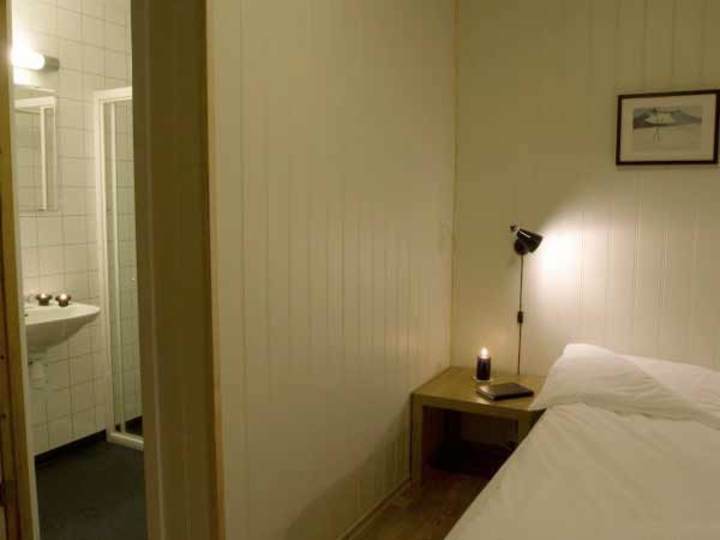 It provides en-suite rooms and Wi-Fi is free throughout the premises. 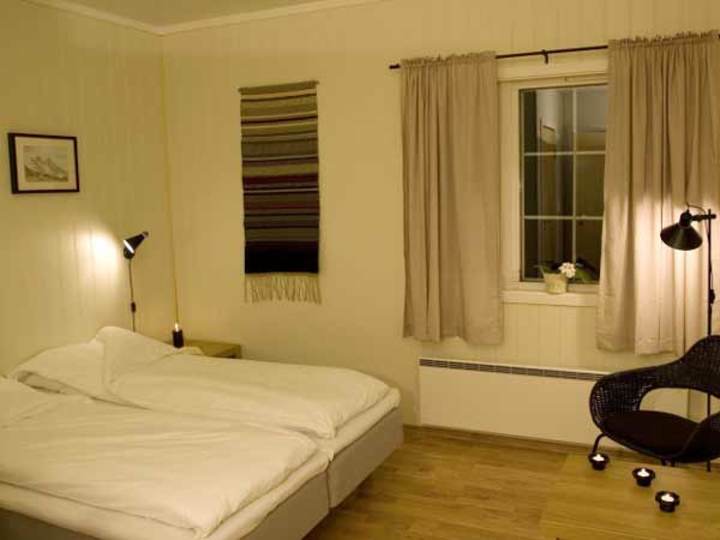 Skjolden Vandrerhjem is a seasonal hostel, which is opened from the 1st May to the 30th September. 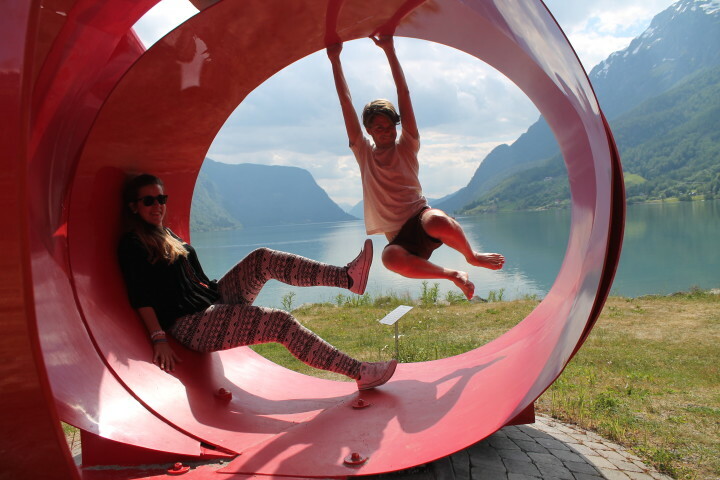 The hostel is located between Skjolden and Fortun, close to the Rv 55. The hostel is part of a resort with a small restaurant, camping ground with suitable sanitary facilities and a playground for the kids. There are 24 newly renovated rooms with private bathroom facilities. 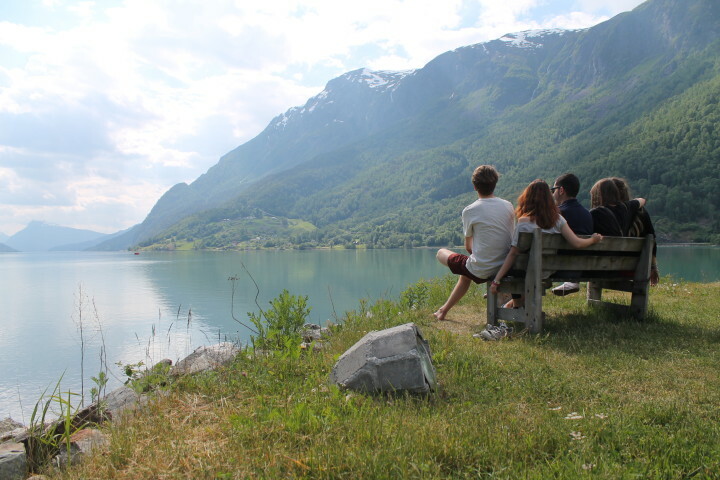 The small town of Skjolden is set in a fertile valley of steep mountainsides, Skjolden is a beautiful place which boarders to Jotunheimen in the north with Hurrungane. In short distance to the hostel it is possible to see the magnificent view of the Vassbakkfossen waterfall cascading down the mountainside. Climbing is particularly popular in the area. 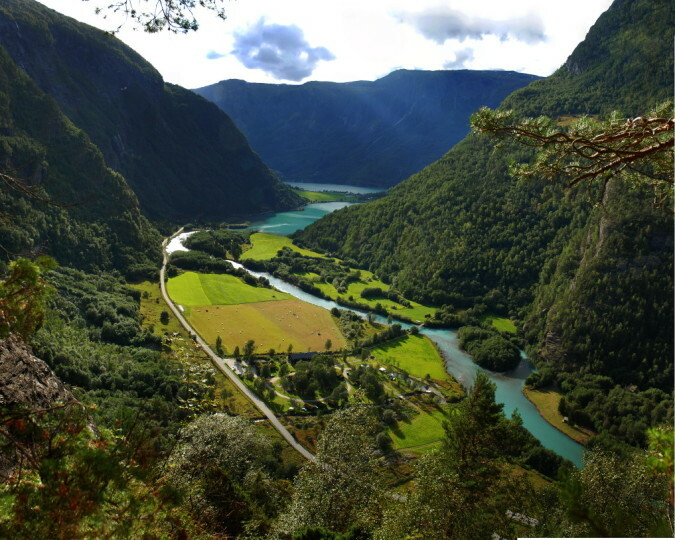 Turtagrø, about 15 km away, is one of Norway’s most known climbing areas. There are also several cultural heritage sites in the area. For instance Urnes Stave Church, which has been a part of Unesco’s list since 2001. In the centre of Skjolden there is a shop with post office services and a cultural centre, which contains a swimming pool and a climbing wall. 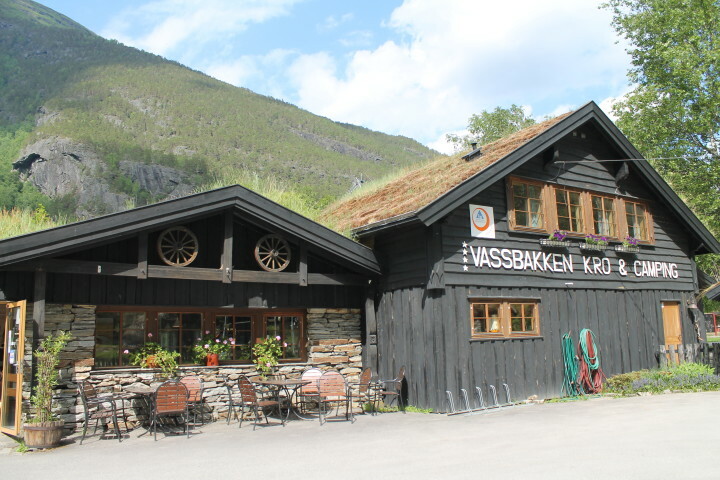 Skjolden Vandrerhjem is a perfect choice for a nice activity holiday with trips to Jotunheimen, Sognefjorden and Jostedalsbreen., Breakfast is included. Habitación grande y limpia. Ubicado delante de una cascada. Cocina pequeña y poco cuidada. Demasiado caro para la calidad que ofrece. This hostel advertises "Free WiFi" and "Internet Cafe" but this was incorrect. The Free Wifi did not extend to the hostel block but was only available inside the Reception/Internet cafe and a few metres outside it. The warden would not allow us to use the WiFi inside the building without everyone buying expensive drinks, so we had to sit outside in the cold to get the free WiFi - only possible as it was not raining. There is a conflict of interest between the hostel and camp site. Es ist natuerlich keine kein Komfort oder Standard eines 4-5 Sterne Hotels, aber das haben wir auch nicht erwartet. Es hat alles was man unseres Erachtens braucht, zu einem fuer norwegische Verhaeltnisse akzeptablen Preis. Die Lage unter dem Wasserfall ist einmalig! Abendessen und Fruehstueck hervorragend, koennen mit besten Hotels mithalten.